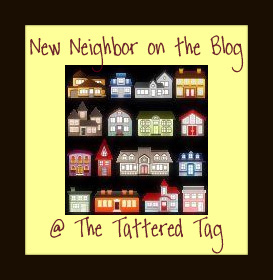 We never manage to have snacks in the house beyond the occasional orange, but now that it’s spring and we’re out and about more, walking, going for runs, going to the beach, etc., having a ‘grab and go’ snack is necessary. 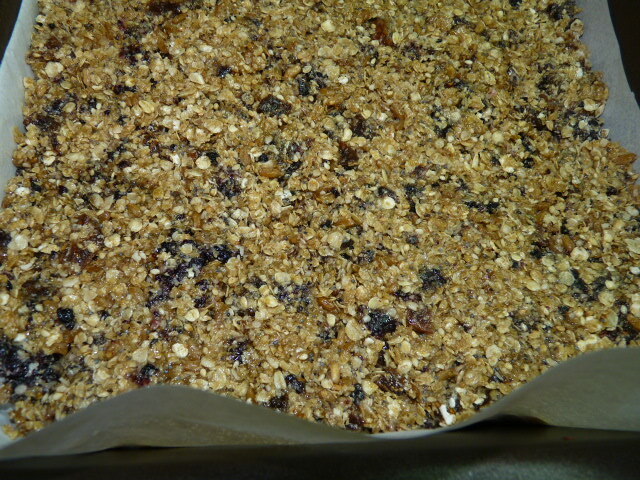 So… homemade granola bars it is! I’m calling these “everything” granola bars because in order to make them, I opened my cabinets and took out almost everything in them. 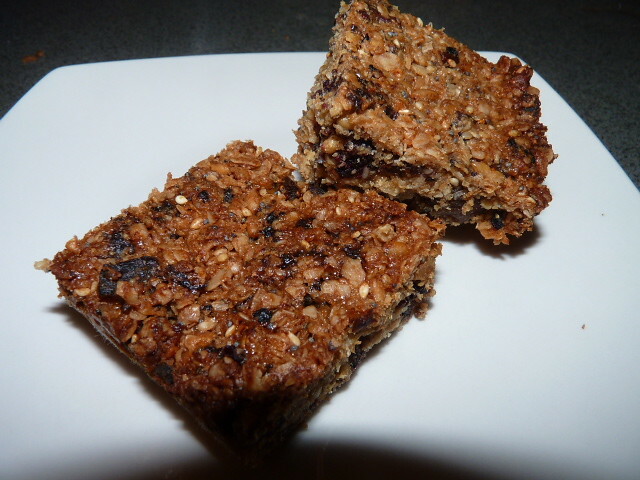 Granola bars are one of those foods that is endlessly variable to your taste and the state of your cupboards. I modeled my recipe after the Smitten Kitchen version, which is based on the King Arthur Flour recipe, but of course after I made my requisite 500 changes, my recipe is quite different from hers. Start with a big bowl o’ oatmeal. I used quick oats because that’s all they sell in Greece. 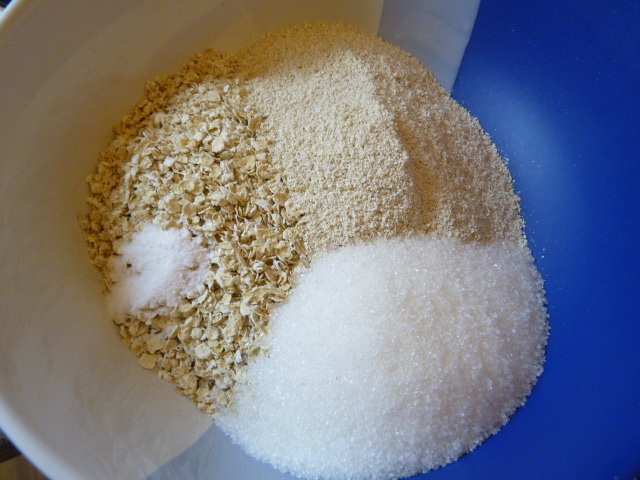 Deb of Smitten Kitchen says that if you use regular oats, you should put them through a food processor first to break them up a bit. For readers in Greece: quick oats are the standard type in Greece (Quaker, Fytro), though they don’t say so on the package. 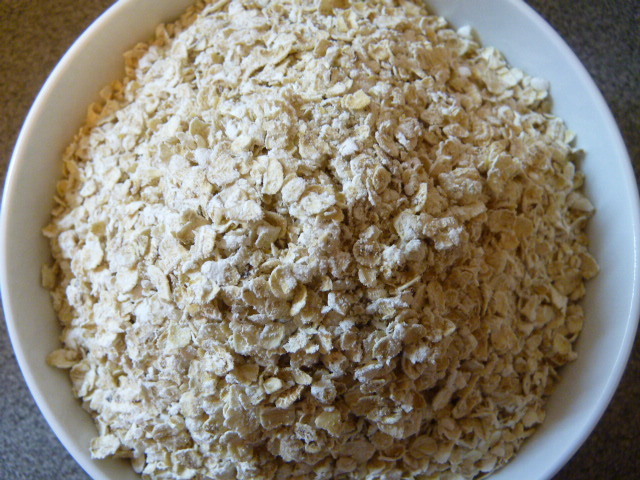 Scoop out about a cup of them and run them through a grain mill or a good food processor to get fine oat flour. 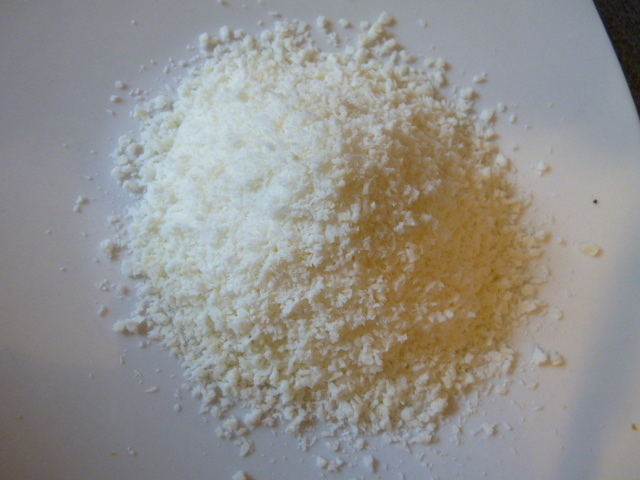 You can also use prepared oat flour if you have it, of course. 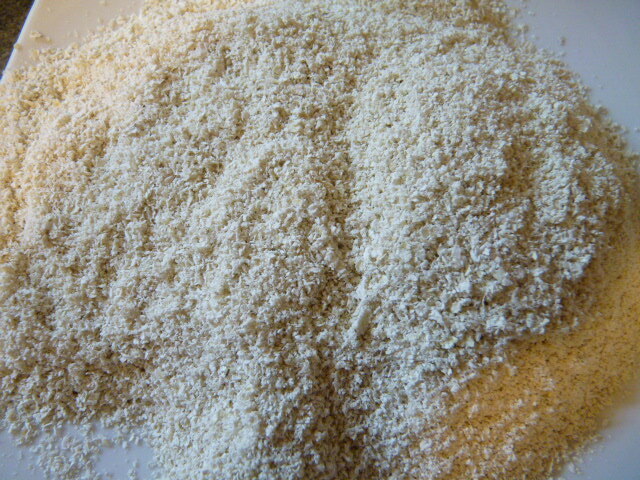 I used my hand-powered grain mill for this and the result was beautiful silky white oat flour and a tired bicep. 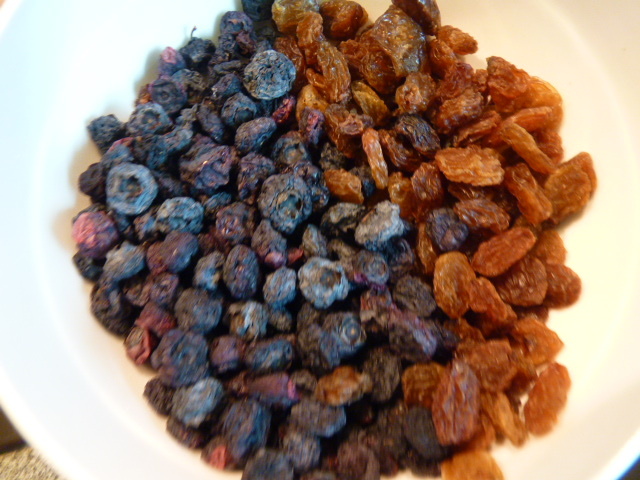 In a food processor, combine the raisins, dried blueberries, and almonds and process for several minutes. 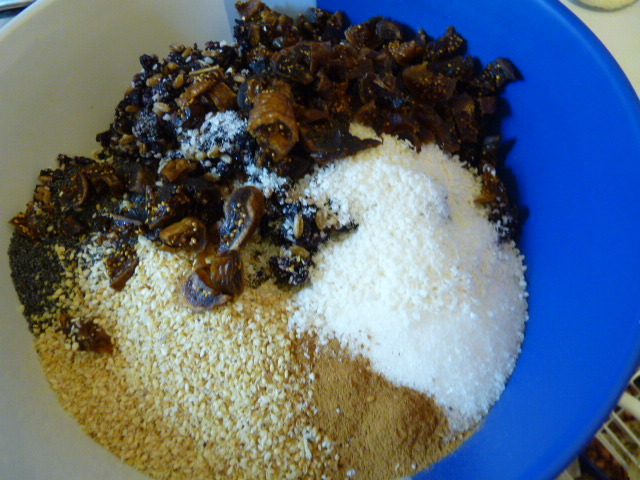 Add in the remaining dry ingredients: the dried fruit from the food processor, sesame seeds, poppy seeds, shredded coconut, and cinnamon. Chop and add the figs. 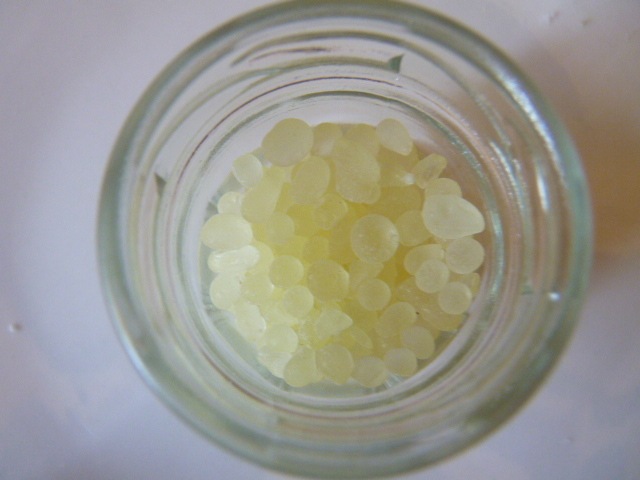 Grind and add the mastic. 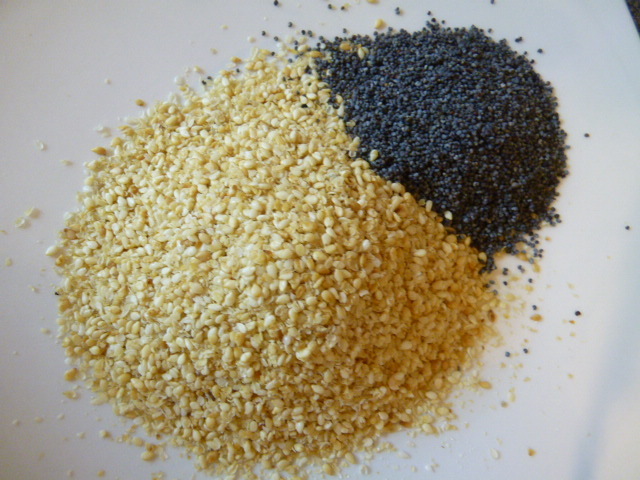 I used my “Rescued Sesame Seeds” in this recipe. 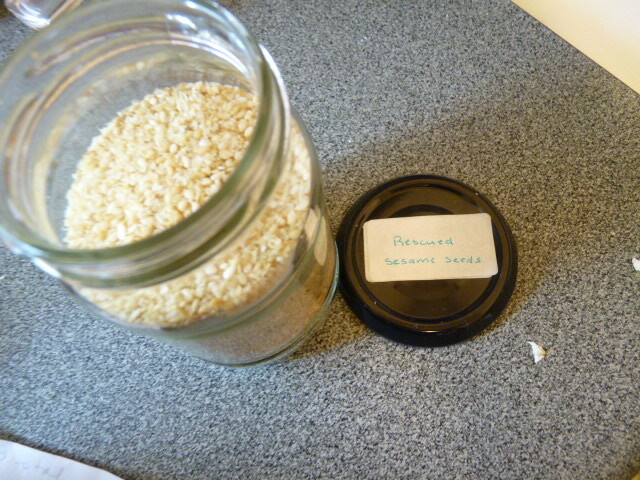 I collect sesame seeds that fall off of things and keep them in a jar. 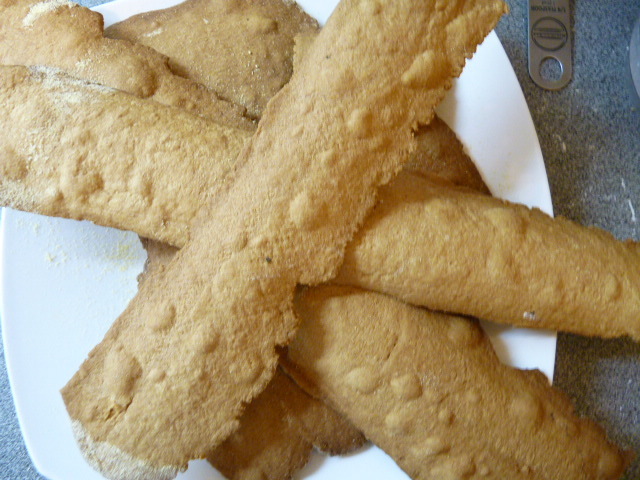 99% of them come from sesame seed breadsticks. 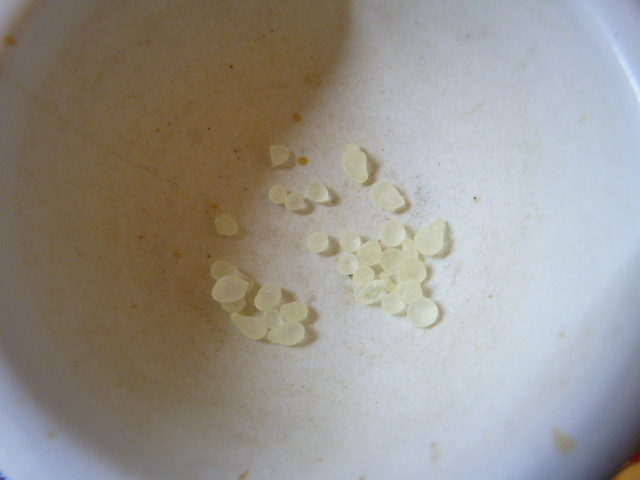 When the bag is empty, there are usually at least 2 tbsp of sesame seeds in the bottom. 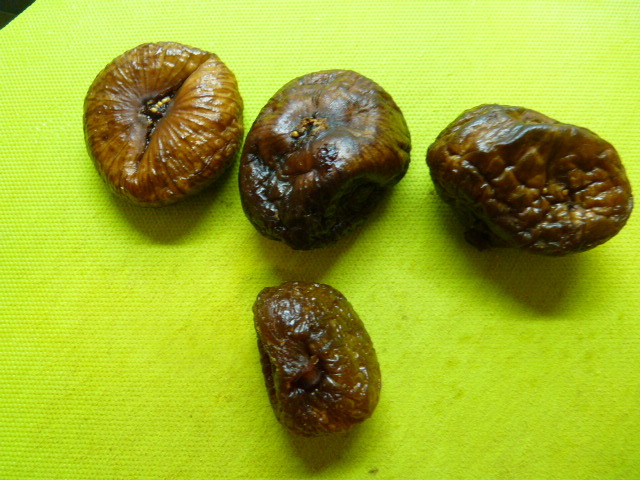 I love to use them in cooking – so much better than throwing them away! I add Chian mastic to this as well. This may not be readily available where you live, so don’t worry if that’s the case; if you have it, try it. It adds a wonderful flavor and aroma and it gives the bars a bit more chewiness. Just put a few pearls in a mortar and grind them up. Mix it all up well. Melt the butter. 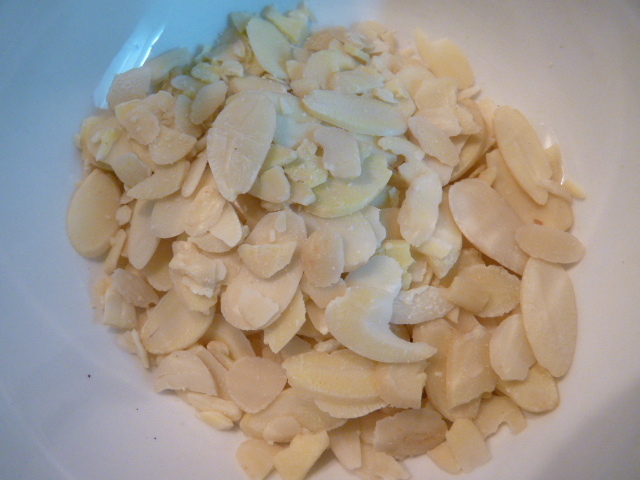 I melted mine in a bain marie (in a bowl over boiling water) but you can use a microwave if you have one. 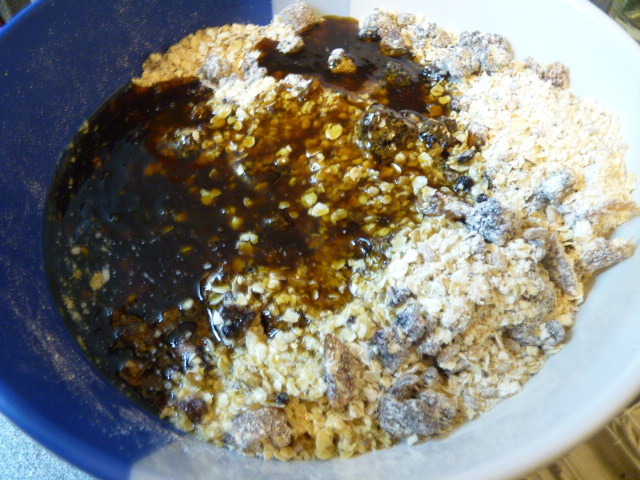 Add the honey, glucose syrup / corn syrup, tahini, and molasses to the butter, and mix. 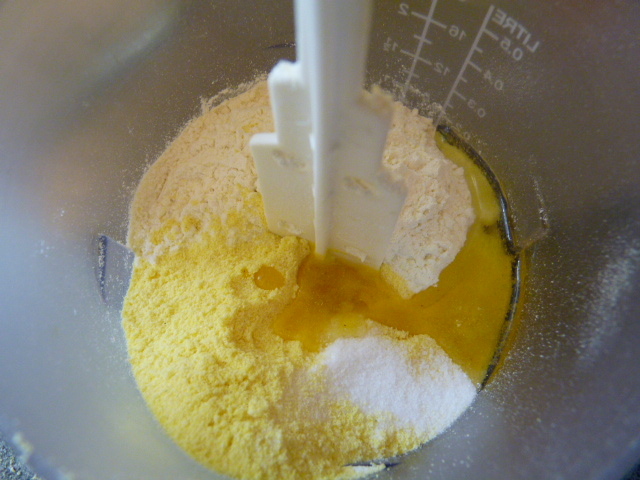 Pour it all over the dry ingredients and stir together. 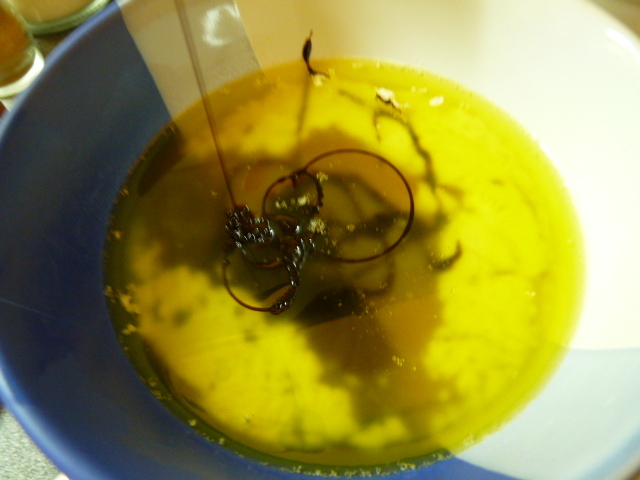 Add the sesame oil and continue stirring until it is all combined and there are no ‘dry’ patches. If it is too dry, add a little more sesame oil. Put it in your pan and press it down really well so that the top is very flat and it reaches into the corners. Bake for about half an hour. Let it cool in the pan on a rack for several hours, and then slice into pieces. I got 32 pieces out of this recipe (cut into quarters, then quarters again, and then halves), each piece with about 116 calories. You can also make the pieces twice as large, 232 calories each, of course. S and I agreed that these taste much better than the storebought kind, and they really are fun and easy to make! 1. 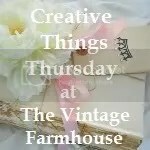 Prepare pan: line a square baking pan with a wax paper sling, and spray well with cooking spray. 2. 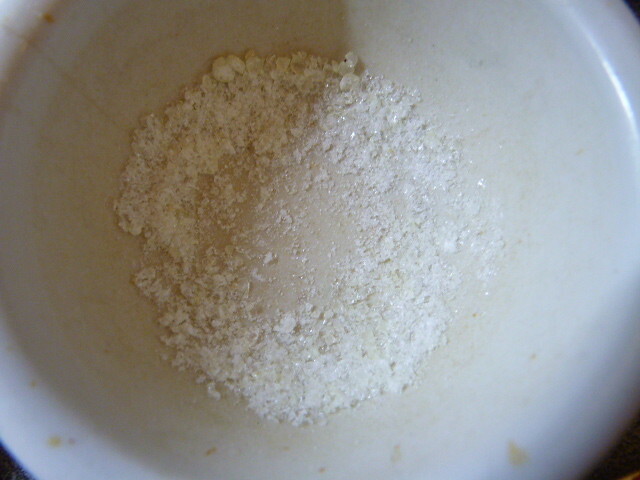 Grind a cup of the quick oats to a fine flour. 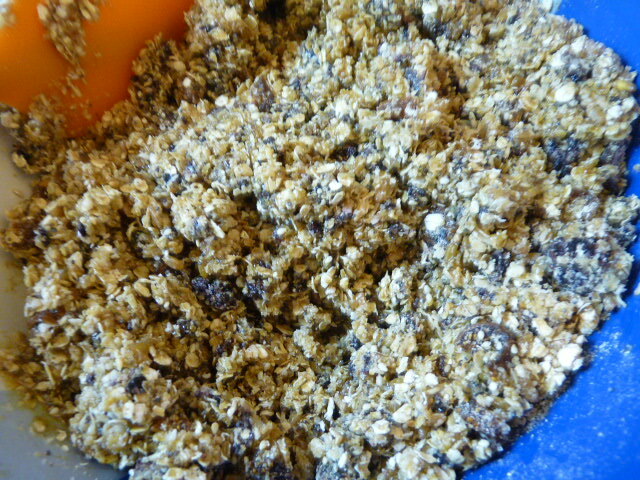 In a food processor, process raisins, almonds, and blueberries for several minutes until in small pieces. 3. 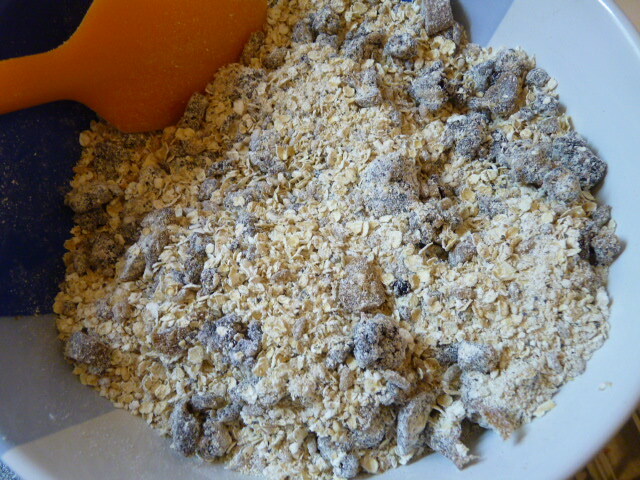 In a large bowl, combine the oats, oat flour, sugar, sweetener, salt, processed raisins, almonds, and blueberries, sesame seeds, poppy seeds, coconut, figs, and crushed Chian mastic. 4. Preheat oven to 180 C / 350 F. Melt butter. 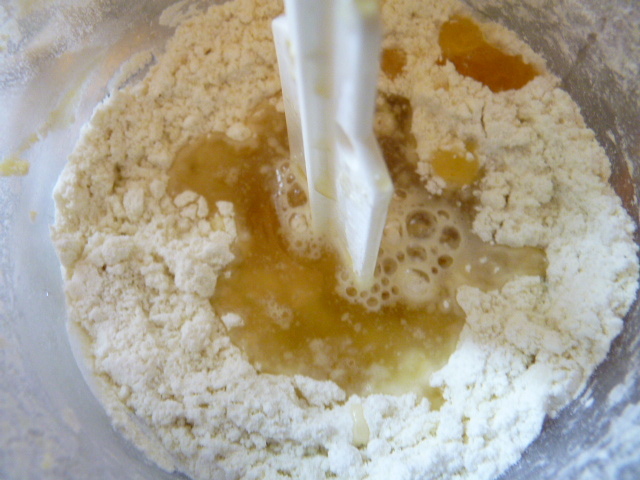 Add honey, syrup, molasses, and tahini to butter, stirring. Pour over dry ingredients and combine. Add sesame oil and combine well. 5. Pour into prepared pan. Press and smooth top until flat and even. Bake 30 minutes or until lightly brown on top. 6. Cool on rack in pan. When completely cool, cut into 32 pieces. Wrap in foil or store in airtight box. Can be frozen. 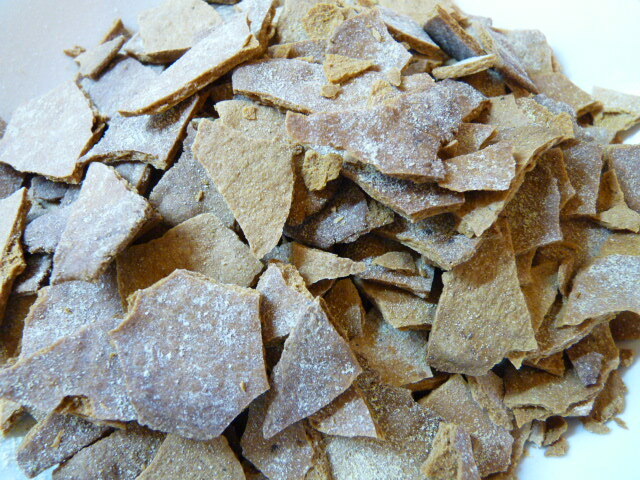 Contains 23% DV of manganese. My husband and I were married a few days before the Greek economic crisis erupted in the international media. Although he was still on the little island, I was back in Athens where I would stay for another month before we could officially move in together. That month, May 2010, was when it hit us that things were going to have to change. No more carelessly buying a bottle of water from a street vendor when we were thirsty, no more meeting friends at a cafe and ordering a cappuccino with a cookie, and no more running to the nearest supermarket to pick up a few things for dinner. 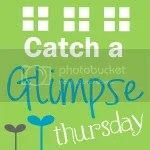 Like many people who decide to become more frugal, we had to do it in a hurry. Comparison shopping and sale stalking replaced carefree dates with girlfriends at Starbucks. And a whole long list of foods we were used to buying became blacklisted. 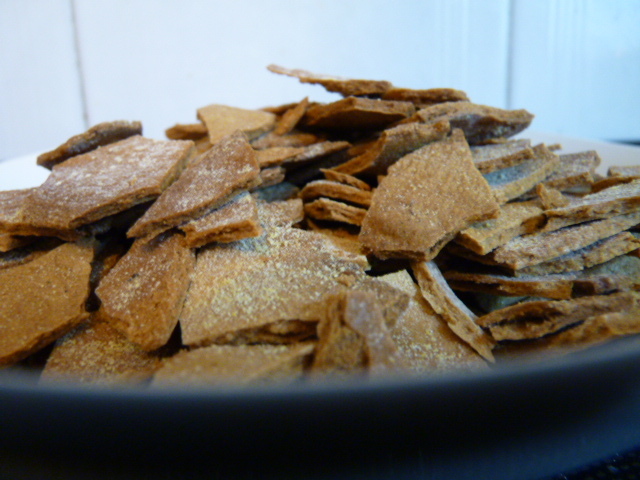 Breakfast cereal – cornflakes specifically – were at the top of the list. 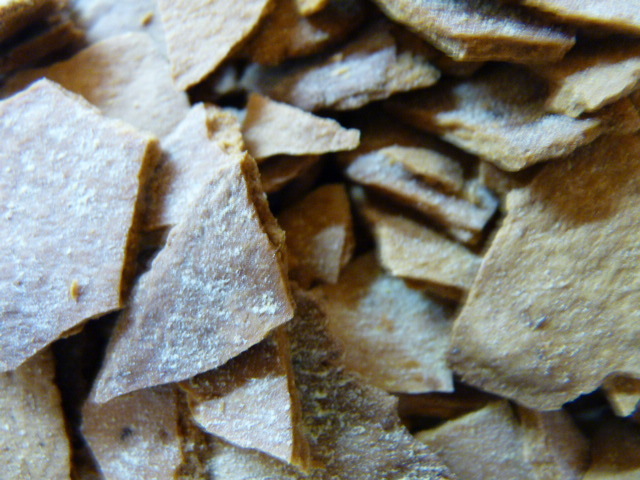 Why something so mundane and ancient as the cornflake, a humble crumb of cornmeal and flour smushed together and baked, should be expensive, I never understood. 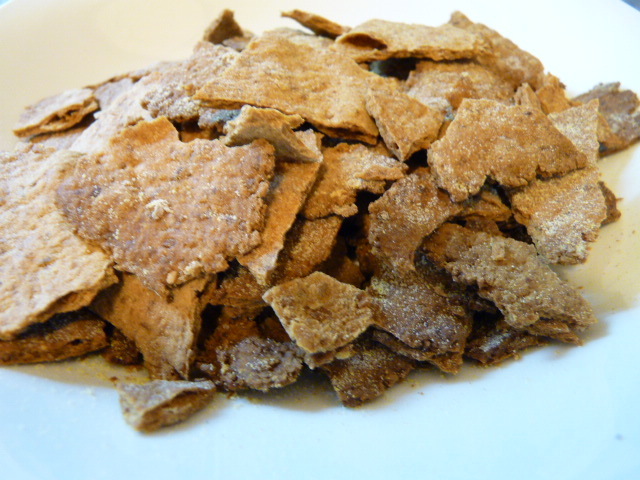 But a small box of cornflakes went for 4.95 euros, or $6.58 in US dollars. 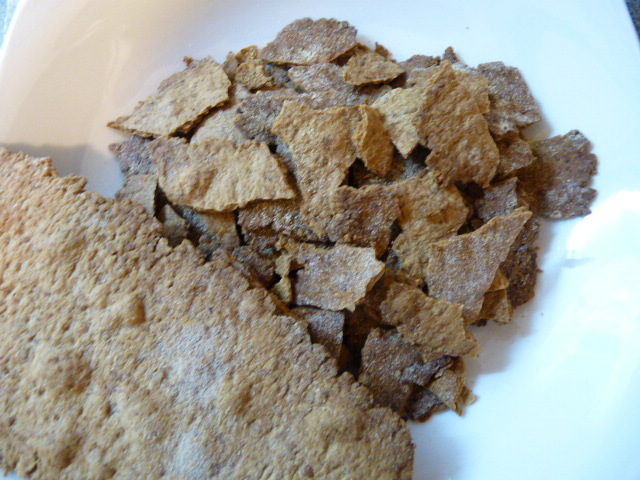 From the mindless ‘oh, I eat that, throw it in the cart’ of my pre-crisis days, cornflakes were just simply not allowed in our house. 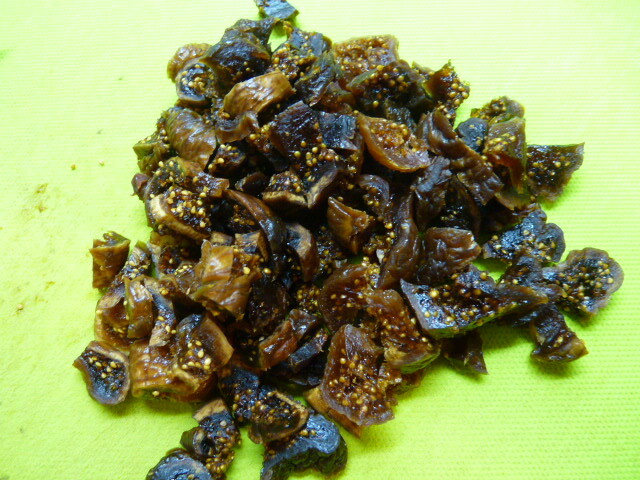 I found the recipe on Leda Meredith’s site Leda’s Urban Homestead. 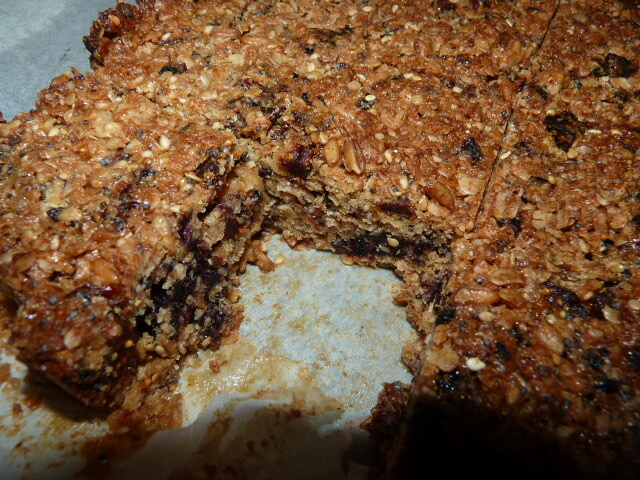 I made a few minor changes, but the recipe is based on hers, which she notes is based on Mark Bittman’s recipe. 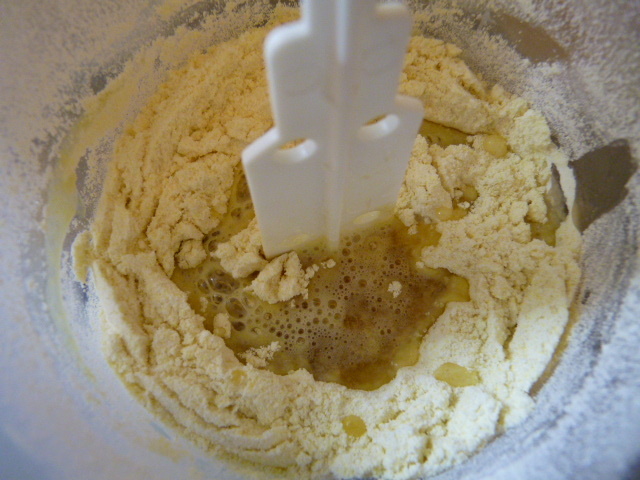 The recipe is simple but it calls for two pieces of specialized equipment: a food processor, which you probably have, and a pasta maker, which you might not. 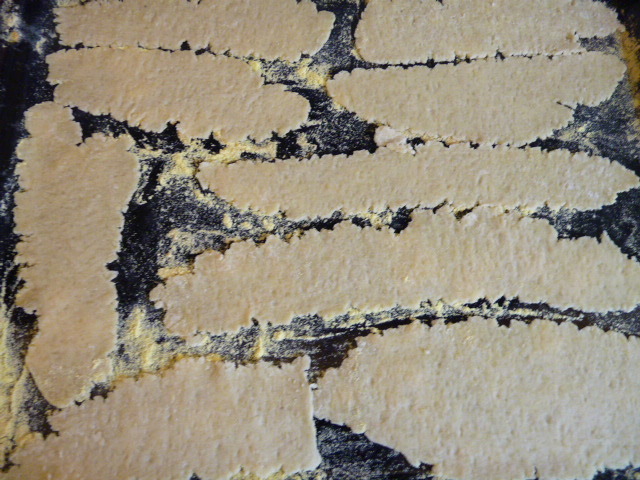 If you don’t have a pasta maker, get one right this minute – er, use a rolling pin. It’s more work but the results are pretty close. Work directly in the food processor bowl. I halved the recipe because I have a mini food processor. 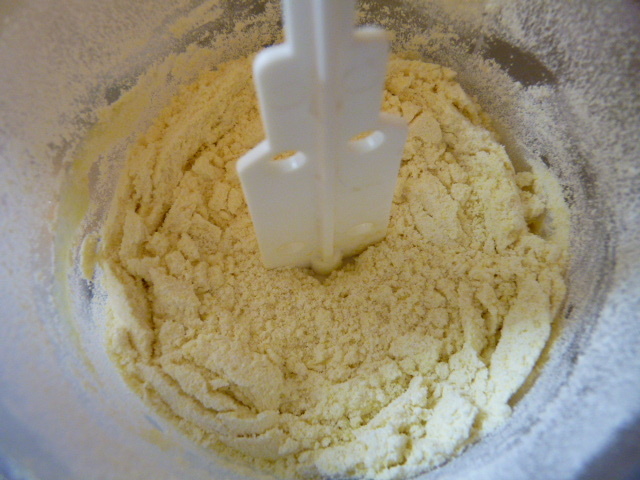 Put all purpose flour, (you can use whole wheat flour if you like – I was too lazy to grind it today) cornmeal, salt, and olive oil in the food processor. Run it for a few seconds to mix everything together. In a cup, stir the honey into the boiling water and pour into the food processor. 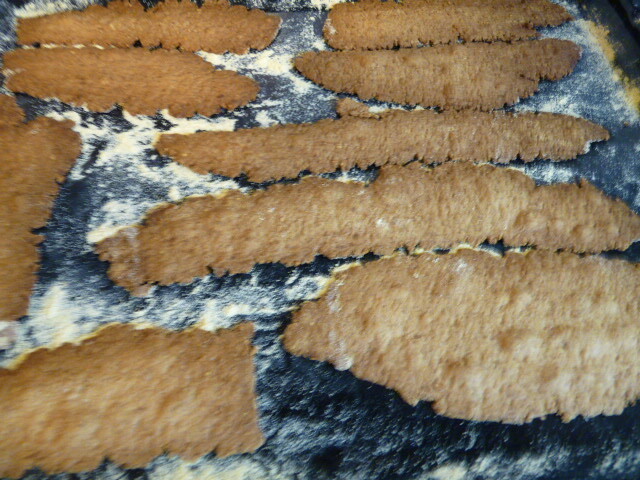 Dust a baking sheet with cornmeal. Dust two if you have two. I have only one. 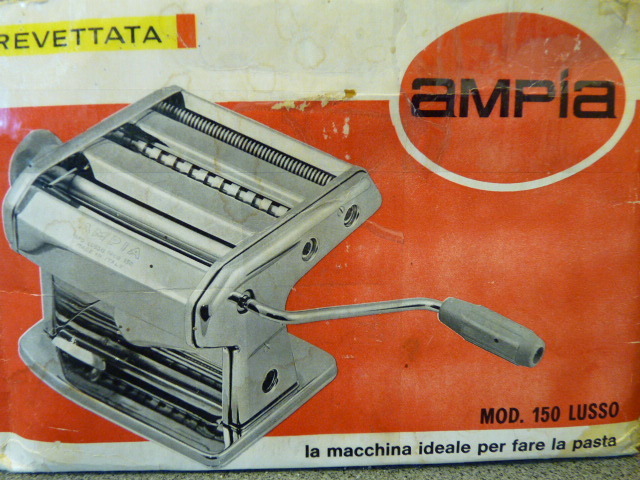 Preheat your oven to 160 degrees C. Get out your pasta maker. 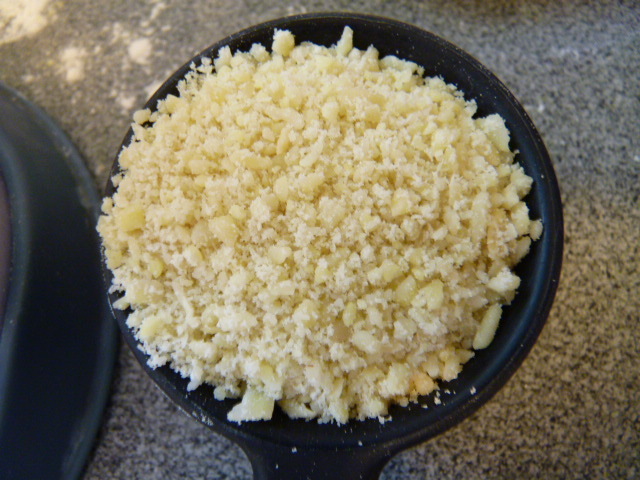 I dusted mine with cornmeal first before using, just to prevent sticking. 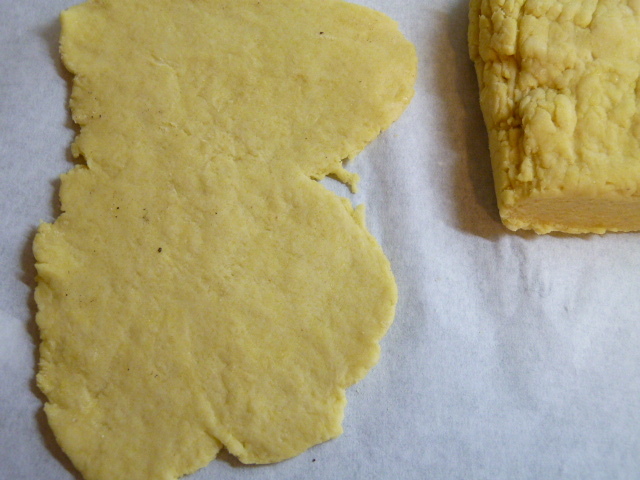 Small pieces of dough can go through the pasta maker starting on the largest (#1) setting. I did these up to setting #3, but I would recommend you go even higher if you can. 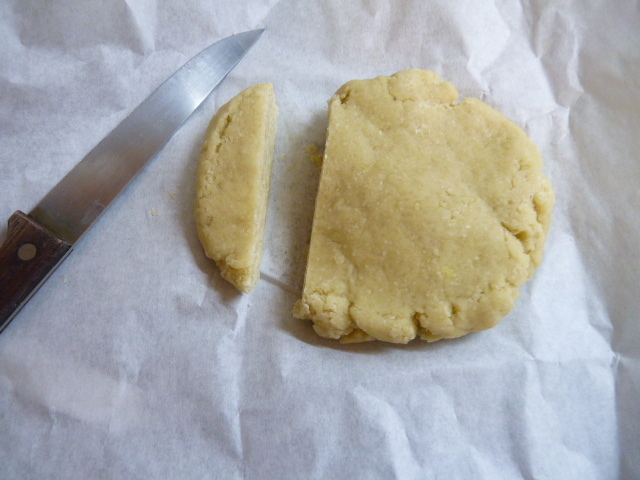 The thinner the dough, the better the result. 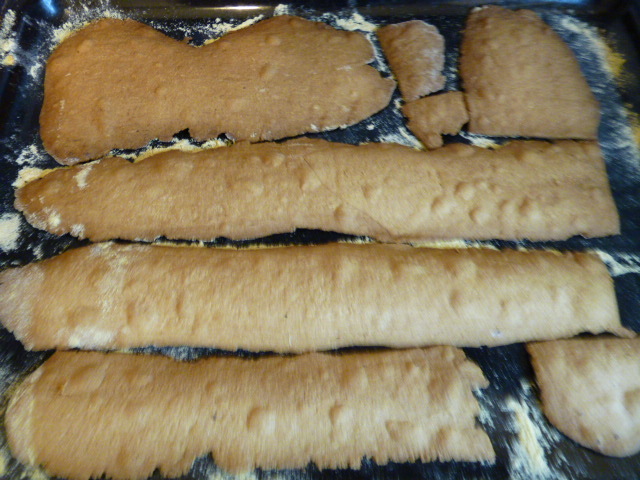 Arrange your rolled dough on the baking sheet. The world’s largest cornflakes. 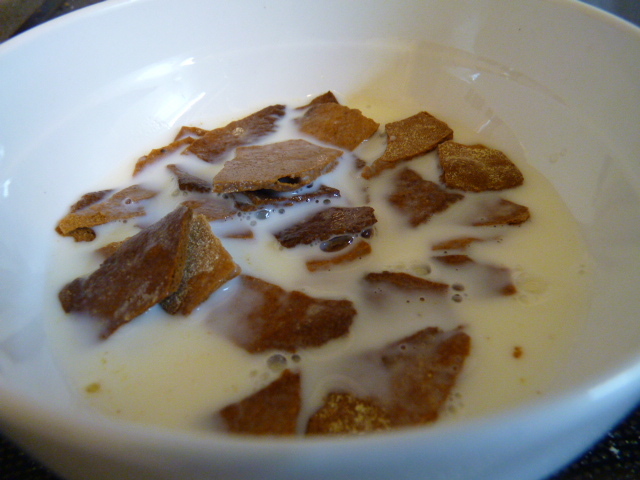 Break up into pieces and serve with milk! 1. 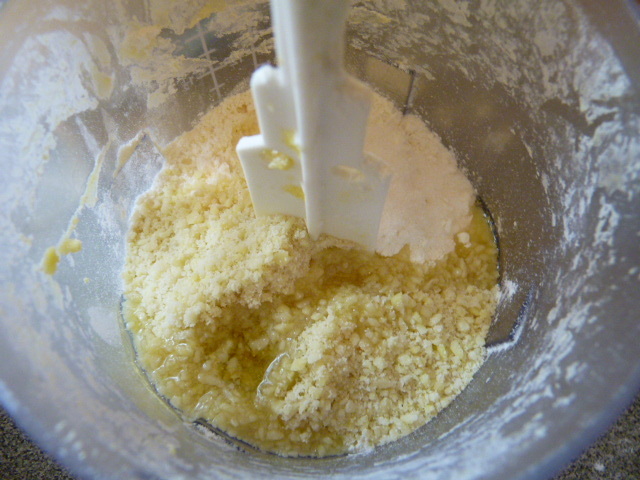 Combine the flour, cornmeal, salt, and olive oil in the food processor. Process til combined. 2. 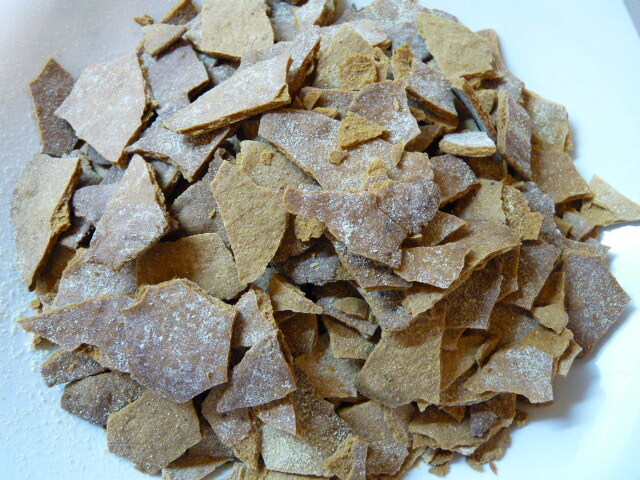 Separately, stir honey into very hot water and pour diluted honey into processor. 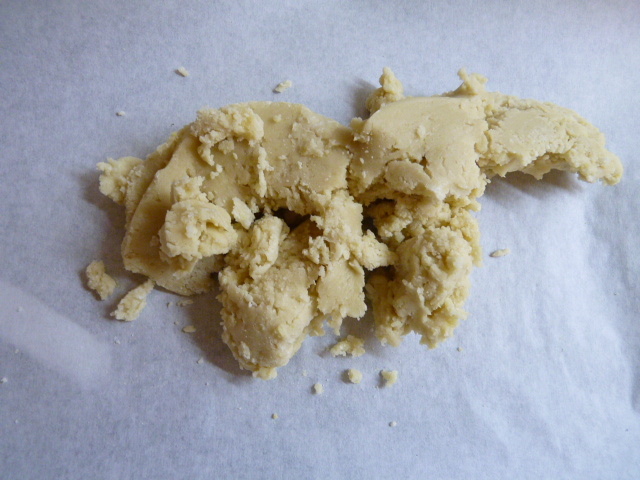 Process, adding water 1 tsp at a time, until the dough is a soft, pliable, and slightly sticky consistency. 3. 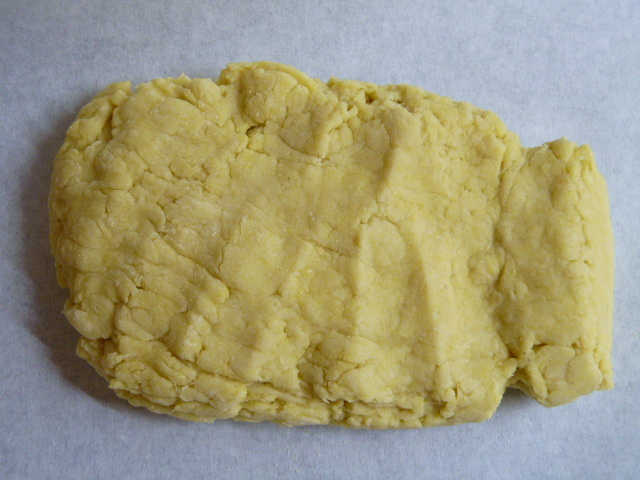 Dust two baking sheets with cornmeal and preheat oven to 160 degrees C.
4. 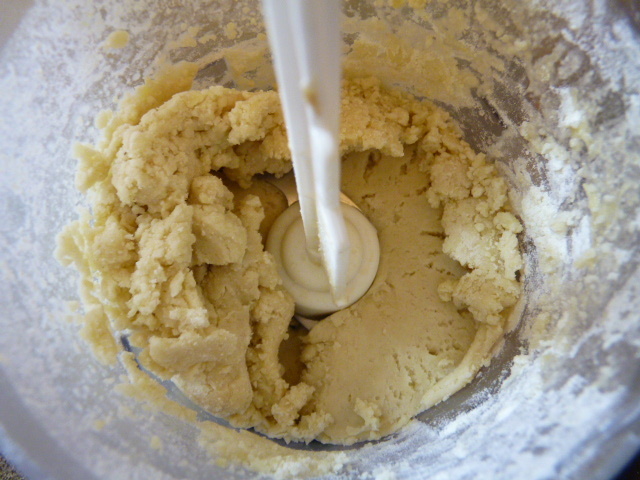 Remove dough from food processor and cut into small pieces. Pass each piece through pasta maker from setting #1 to setting #4 or higher if possible. 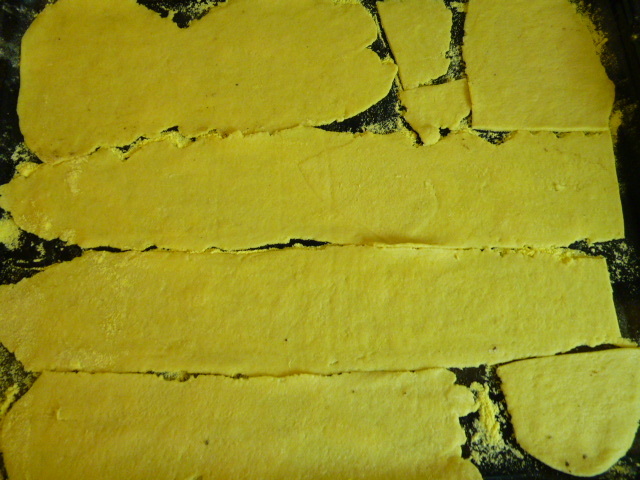 Lay out dough on baking sheet. 5. Bake for 25 minutes. Allow to cool, then break into pieces with hands. Serve with milk.